On this site you may view windows divided into three galleries: Private (largely residences, small decorative panels and secular restoration projects), Public (mostly for schools and exhibitions) and Sacred (for places of worship). Helen's portfolio contains several hundred commissions for private houses. Whether large or small, each one is individually designed in close collaboration with the client. As well as conceiving completely new work, she has a particular interest in recreating authentic period designs, correct in proportion, style and colour for the architectural context. Inspiration may be drawn from a variety of sources, surviving originals through to a fresh and stylised interpretation of botanical or geometric forms. Although in the majority of cases Helen deals directly with the client, she also works closely with a number of architects and interior designers and has a network of skilled craftsmen to call upon including an excellent fitter, joiner and blacksmith. For some years, Helen taught Stained Glass at Oaklands College in Hertfordshire and more recently has done a considerable amount of work with schools. As well as making a number of stained glass windows for school building projects herself, she also works with pupils, teaching them to design and make either glass mosaics or more complex painted windows. This may be in groups for example, as part of an ''Arts Week'' or with individual students studying glass as part of their GCSE or A Level in Art & Design. 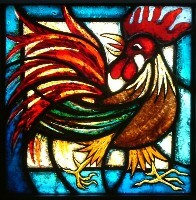 Helen has exhibited work whilst a student at Central St Martins College of Art and Design and in several exhibitions mounted by The British Society of Master Glass Painters and the Stained Glass Museum, Ely. Helen has completed a number of new commissions for churches including two lancets depicting St James the Great and St Gregory the Great for St Michael and All Angels, Croydon, a military commemorative window for St George''s Chapel, RAF Halton and a glazed porch for St Thomas à Becket, Northaw in Hertfordshire. Having a particular interest in historic glass, she has incorporated reclaimed figures into several windows, an angel by Charles Eamer Kempe into a lantern for the Chenygate, Westminster Abbey and most recently two figures, Isaiah and Job, again by Kempe into a window in All Saints, Downshire Square, Reading. 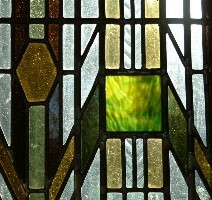 In this case the remainder of the window was painted from new to match an existing frieze of glass by Clayton and Bell. 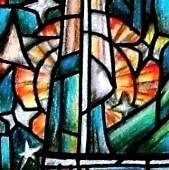 In 2008 she completed a contemporary window for Herne Hill United Reformed Church in London.